I know I’ve written about this before, but today I fell down a little bit of a rabbit hole. 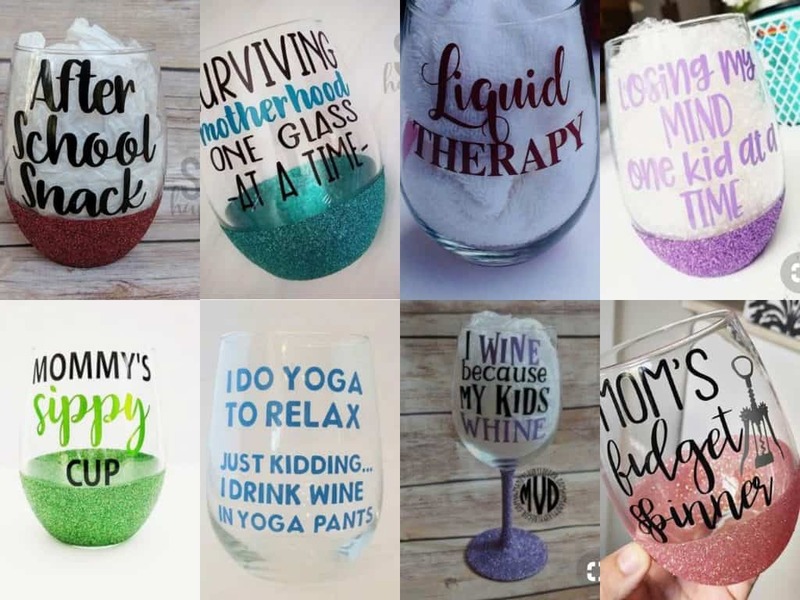 Once I clicked on the pin, Pinterest began suggesting to me a whole cache of personalized, mommy wine glasses. One after the other, they flooded my computer screen. All had some variation of the same message: Being a mom is hard. You need to drink to manage. Sure, plenty of people will say that it’s just a joke. Lighten up. These glasses are meant to be fun. But are they? Here are the facts. In a study published by JAMA Psychiatry, high-risk drinking, which is defined as four or more drinks per day at least once a week, has increased in women by 60%. Alcohol use disorder increased by a whopping 84%. The worst part? Women are dying from alcohol-related deaths at an alarming rate. Between 2007 and 2017, the rate of alcohol-related deaths in women rose 85%, compared to men whose rates increased by only 29%. A recent article in USA Today points out that alcohol-related deaths are actually outpacing deaths caused by opiates. Opioid overdoses kill about 72,000 Americans per year. Alcohol is responsible for 88,000 deaths per year but we rarely talk about it. There are no national media exposés on the “alcohol crisis” in America. We demonize the so-called junkie and celebrate the frat guy doing keg stands at the party. Binge drinking is defined as four or more drinks on a single occasion for women, and five or more drinks for men. In my worst drinking days, I EASILY doubled that at least five times per week and I’m not alone. Remember that 60% increase? But we don’t discuss alcohol in that way. We talk about how “wasted” we got and laugh about it. We praise our drunk shenanigans in songs and party anthems. These are the fun little tales we tell at gatherings. Remember that night you got so drunk that you passed out on the stairs with half a slice of pizza in your mouth? Haha. Good times. We never say, “Hey I started drinking pretty regularly around lunchtime on the weekends. Something feels off.” Those thoughts are private, not meant to be shared. You’re not supposed to say those things out loud. In fact, if we decide to take it easy or quit drinking altogether, we are often looked at as if we’ve grown a third eye. What do you mean you’re taking a break? Don’t be a loser. Come out with us! We’ll make sure you get home okay. Remember last year when you passed out on the subway and woke up at the airport? Haha. Classic! 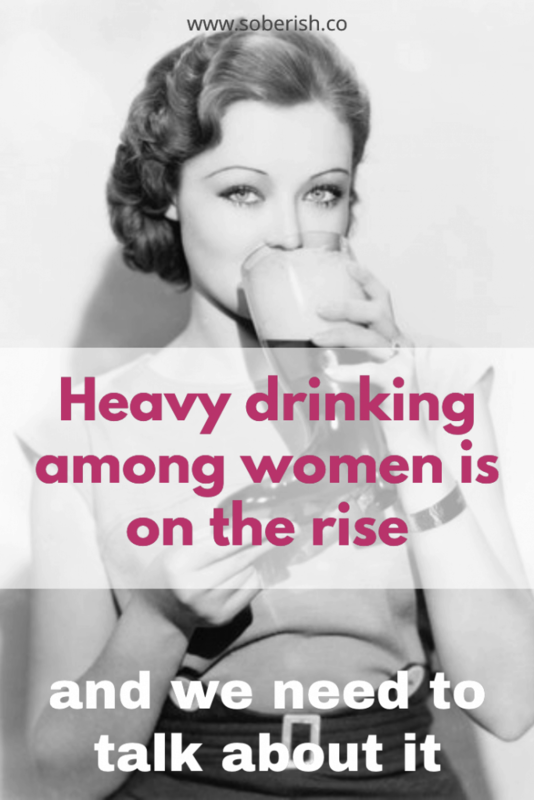 What Is Driving Women To Drink? The study has offered up a variety of theories. After the 2008 recession, many people saw a sharp decline in their earning potential and quality of life. Ten years later, people are still grappling with economic uncertainty, which can lead to increased drinking, especially among lower-income people. 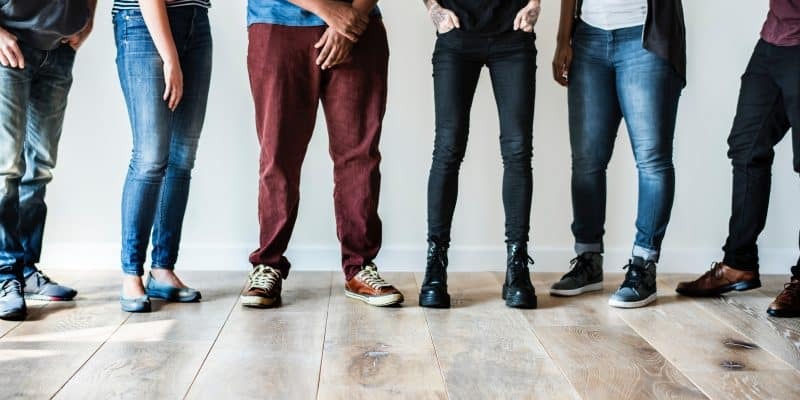 There’s some suggestion that while women’s roles in the workforce have increased, their roles in the home remain relatively the same (as in they carry the brunt of the responsibilities). This is causing burn out and increased stress levels. We’re finding it difficult to cope. Marketing is also playing a role. Pink bottles of Rosé and Moscato line liquor store displays. “Skinny” brand drink mixes and “light” beer and cider options are constantly seeking to appeal to women customers. 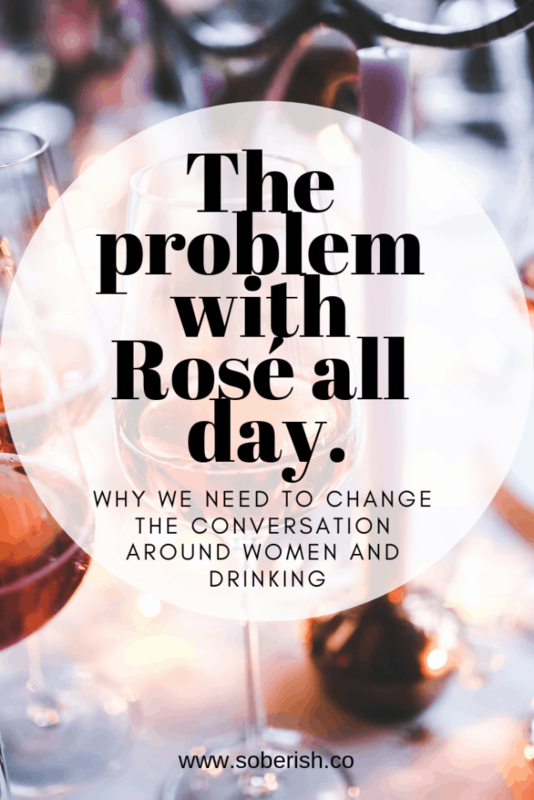 Companies are actively targeting women consumers and tapping into the pervasiveness of drinking as a means of handling life. Wine is both the solution and the punchline. 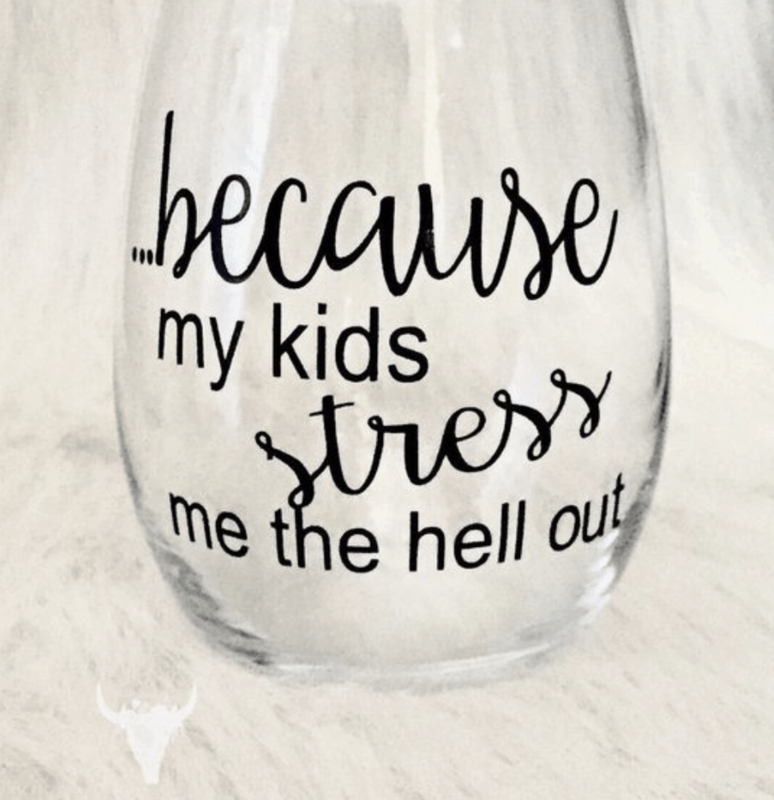 The aforementioned wine glasses that started this post, kitschy home decor encouraging wine o’clock, and the increasing prevalence of “mommy drinking culture” are all contributing to this problem. An article from April 2018 in the Chicago Star Tribune examined the rise of mommy drinking culture and its impact. “From Facebook, Twitter and Instagram, to movies and store shelves, a ubiquitous narrative has taken hold in popular culture: that it’s acceptable, expected and funny for moms to use wine to make it through the day. 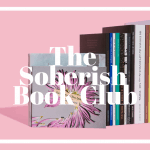 Yet, while many women share these images in jest and don’t have a problem, addiction experts and those who have battled addiction themselves say the trend minimizes the dangers of drinking to excess. 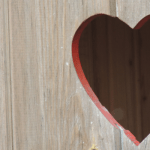 When we decorate our homes with these “cute” glasses, towels, or rustic signs, we are sending a message to our children. Being a mom is tough. That’s why we get to have wine! It makes us happy. We NEED it to be happy. Because we are moms. This is what women do when they get together, after all! To you, it may be a silly little glass, but it is also an advertisement for your children. Mommy needs a little escape. And once they’re old enough to know what alcohol is, the message becomes a little clearer: alcohol makes you feel better. It is inherently dangerous to teach our children that alcohol is a reasonable coping mechanism for life’s difficulties, of which there will always be many. How long before she’s sneaking a little of your “mommy juice” with her friends? What happens when she starts to feel the pressures of being a young woman in this crazy world and is looking for a way to deal? You can’t reasonably expect to teach your kids about responsible drinking from a dining room table with a sign that says “it’s 5 o’clock somewhere” hanging on the wall. I’m sober because I used to drink my weight in wine, hard cider, or whiskey to deal with my life. It was always 5 o’clock in my apartment. This is not everyone’s reality, thankfully. I’m certainly not suggesting that it is. Maybe you are one of those mamas who likes to have a glass of pinot after dinner, and when that glass is finished, so are you. I am not going to try to convince you to not drink your glass of wine. Really, I’m not. What I am trying to convince you of is to be mindful of the way you consume alcohol around your children and the messages you send to them. They don’t need to see you drinking from a glass that proclaims they are the reason you have to drink. If, however, it isn’t one glass of pinot after dinner. It’s another two, three, or four, I am asking you to think about that more carefully. 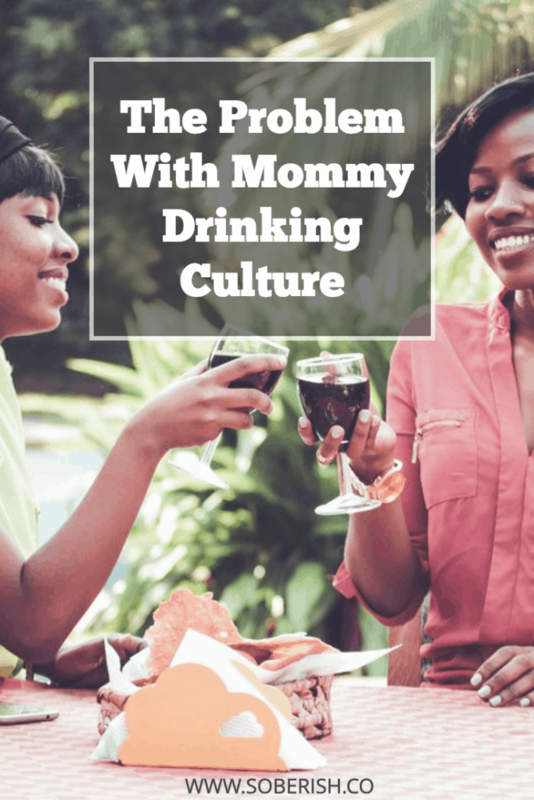 Do you want your kids to mirror the relationship you have with alcohol? If you come home from work every day and say, “I need wine,” is that what you want for your kids when they are older? If you’re being honest with yourself, how much alcohol are you consuming on a regular basis? Because the reality is, our drinking catches up to us, one way or another. Maybe you aren’t getting DUI’s or embarrassing yourself in front of your kids (too much), but if you are a heavy drinker, which is defined as 8 or more drinks per week, you’re putting yourself at an increased risk of developing chronic diseases, certain cancers, and psychological disorders. How many people easily consume that per week and think nothing of it? Per week? Shoot, that’s me every day on the weekends. We’ve normalized problematic drinking to the point where we see the statistics on what constitutes “excessive drinking” and scoff. Don’t be ridiculous. Everybody drinks that much. Again, I do not advocate that everyone quit drinking. I genuinely do not think it’s necessary. My husband still drinks. Everyone in my family drinks but me and my grandma. I’m fine with it. What I AM saying is that you need to do a personal inventory of your drinking. How much are you drinking? WHY do you drink? What are the messages your drinking sends to your loved ones? What are you subconsciously teaching your kids about the role of alcohol in your life and theirs? 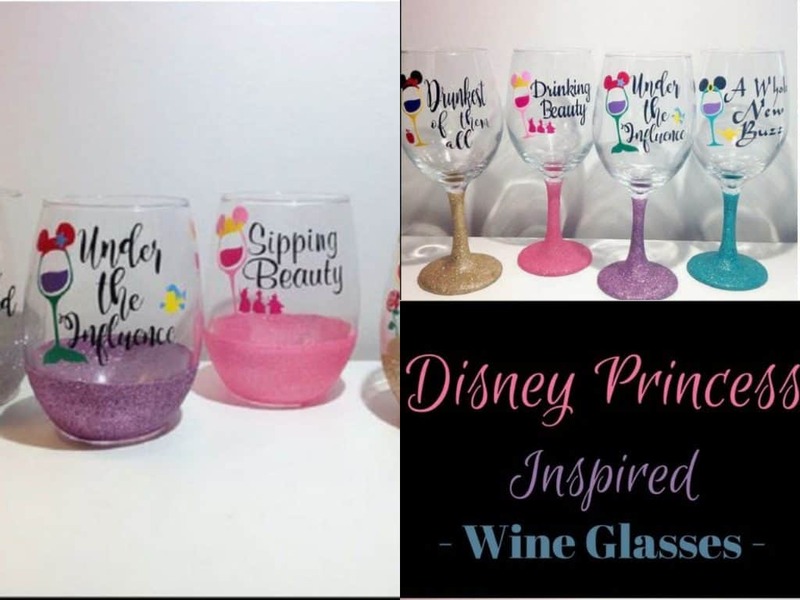 Do you honestly need those Disney Princess themed wine glasses? I’d argue that no, you do not. Being a mama is hard. I’ve had days where I did not know if I was going to make it. There were even worse days when I thought I made a mistake by becoming a parent. I get it. But if we’re going to raise physically and mentally strong, resilient children, we are going to have to model that for them and pay attention to the signals we are sending. We have to show them how to constructively handle stress over all the challenges life throws our way. We have to be better for them, to show up for them. And we shouldn’t have to get buzzed to do it. Except when a picture of kid is on the label and it apologizes for making the teacher drink . Very well written and thought provoking. I actually drink (drank) MORE after the kids were older…..they are now mid-20’s. My eldest might be able to drink me under the table … my youngest, no way. Lately, however, I have drastically cut down, as my stomach felt like the vodka was carving a hole into it. Not good. Not worth it. Thank you for sharing that! Rooting for you to get on a better track and that your stomach issues get better soon!